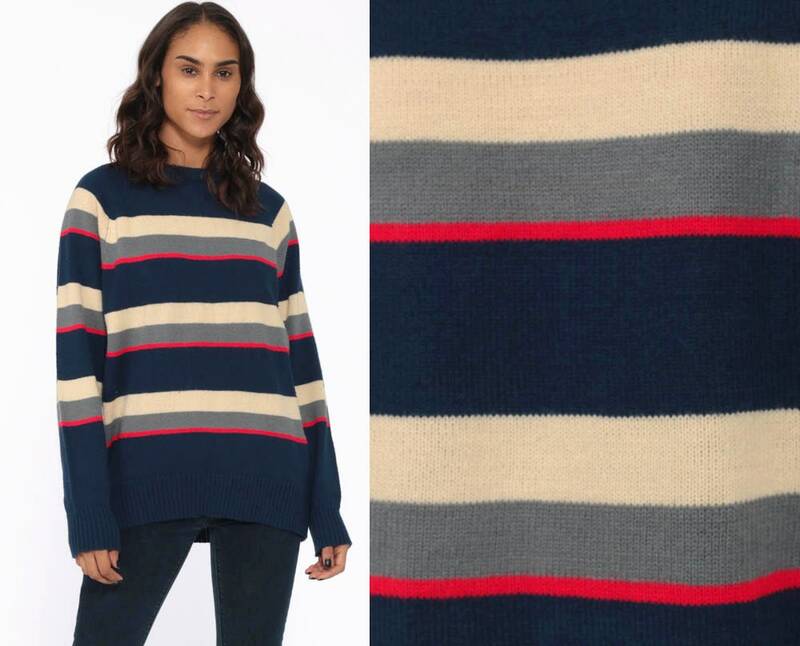 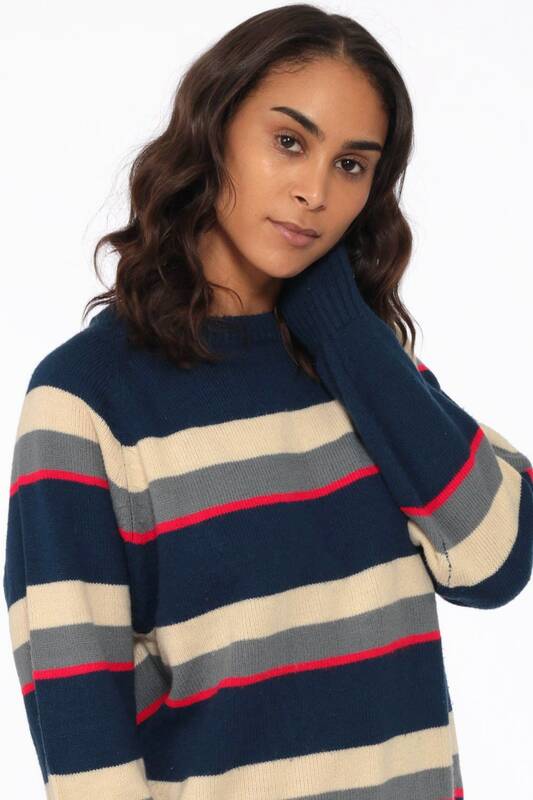 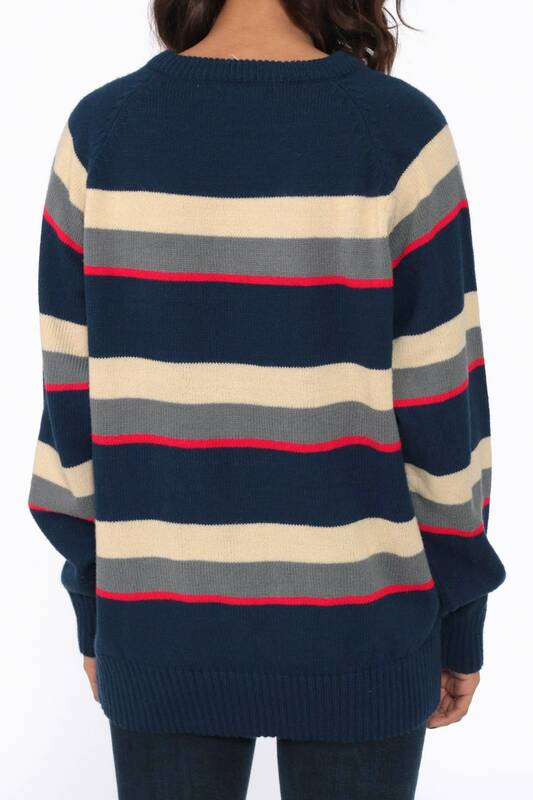 Vintage 80s sweater in navy blue with red, tan and gray stripes. 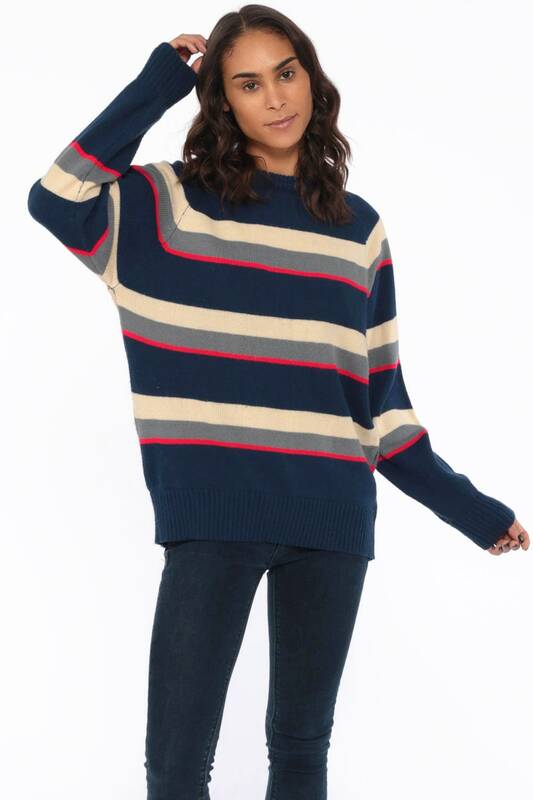 Oversize and unisex. 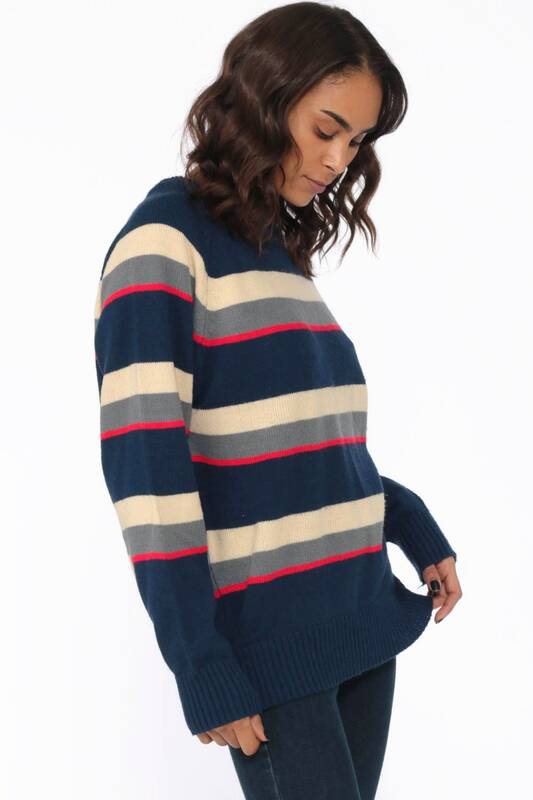 Best fits women’s: Labelled Large. 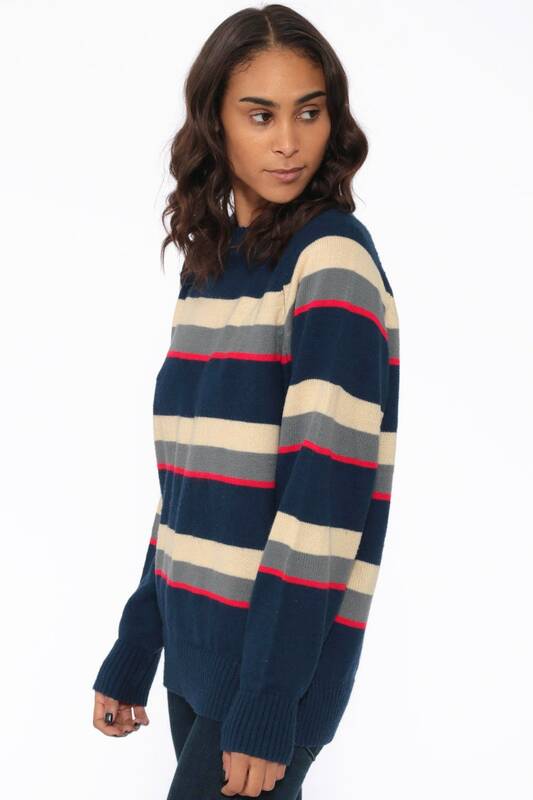 Fits Medium.